Khasi cinema, which till now had been relegated to the backseat, received a major shot in the arm when one of its films walked away with three awards in the recently concluded Guwahati International Short Film Festival (GISFF). The film 19/87 won picked up the Best Film, Best Screenplay and Best Cinematography awards in the competition section of the festival. The 1st Guwahati International Short Film Festival (GISFF) was held at the Assam State Musuem in the earlier part of this month. The first edition of the festival saw an enthusiastic response from filmmakers and film enthusiasts who got the chance to watch films from Spain, Italy, United Kingdom, Netherlands, USA and Australia as well as from different States of the country. The festival also saw tributes being paid to young Assamese filmmaker Late Angshuman Borkotoky, who passed away at a young age, with the screening of his film “Doctor, Nurse & Patient”. GISFF was divided into three sections i.e. World Kaleidoscope, Indian Kaleidoscope and the competitive section, North-East Shorts. Altogether 50 selected shorts were showcased during the two day festival. The festival, which was organized by city-based Creovaent Productions in association with Shamiana, had on board film critic-turned-filmmaker Utpal Borpujari as the artistic director. The film 19/87 is based on an unusual friendship that developed in a trouble-torn period in the history of the State. The film has been directed by Wanphrang Diengdoh and Dondor Lyngdoh, while the screenplay has been done by Janice Pariat – a familiar name in the literary circuit of the country. Produced by Cafe Shillong, the other cast members of the film include Chetan Sahni, Dondor Lyngdoh, Willybirt and Anthony. The very inclusion of the film 19/87 in the Guwahati film festival itself had raised quite a few eyebrows among many members of the audience, yours truly included. This is not surprising because Khasi cinematic productions worth its name have become a sort of rarity indeed. Diengdoh and Lyngdoh’s film, however, made a strong statement against this trend, as aptly proved by the decision of the jury members. The mood in Shillong is definitely upbeat after the film picked up the awards, and it has also kindled new interest among artistes in the city. The jury of the festival, which included the likes of Adil Hussain, Nila Madhab and Haobam Paban Kumar, was headed by eminent filmmaker Shyamaprasad from Kerala. For those who don’t know, homegrown boy Adil Hussain has been receiving a lot of critical acclaim, especially for his performance in Italian director Italo Spinelli’s Gangor. Adil is now playing a major role in Ang Lee’s ongoing production which is based on Yann Martel’s bestselling ‘Life of Pi’. The opening short film at Guwahati International Short Film was Porque Hay Cosas Que Nunca Se Olvidan (Because There Are Things We Never forget) by Lucas Figueroa. The film, which has won more than 300 awards till date, has also entered the Guiness Book of World Records for winning the highest number of awards as a short film. The screening of the Malayalam anthology Kerela Cafe was another defining feature of the festival. This particular film was directed by a team of ten directors – Lal Jose, Shaji Kailas, Anwar Rasheed, Shyamaprasad, B. Unnikrishnan, Revathy, Anjali Menon, M. Padmakumar, Shankar Ramakrishnan, and Uday Ananthan. A social satire ‘Ek Langda Aankada’ produced by Krishna Raaz Baruah from Assam was also screened during the two day fest along with ‘Blood Brothers’ by Vishal Bhardwaj. 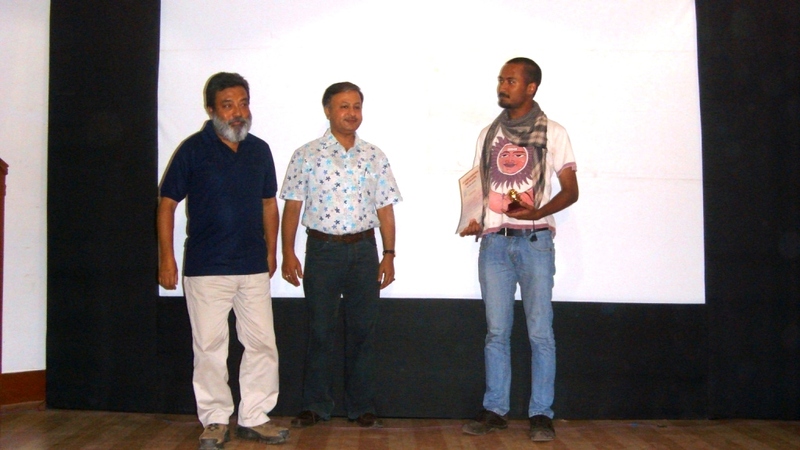 “The competition films were selected from a large number of entries received from all over North-East India by a preview jury comprising noted theatre and film personality Nayan Prasad, eminent film editor Kaju, film critic Chandan Sharma and acclaimed director Bidyut Chakravarty,” said Creovaent Productions director Prithish Chakraborty. The chief guest for the closing ceremony was filmmaker Gautam Bora who encouraged the platform and urged filmmakers to come up with more quality short films from the region. 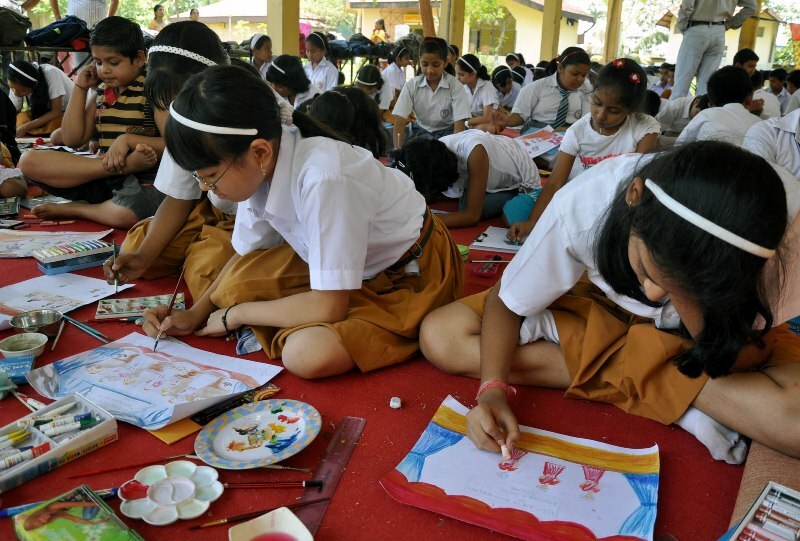 Call of Brahmaputra – a group show of painting, graphics and sculpture by six young artistes from Assam was held in New Delhi recently. The artistes whose works were exhibited were Kareem Khan, Manoj Priyam, Ranjit Rabha, Nabakash, Harekrishna Talukdar, Bijoy Deori and Rajib Kalita. 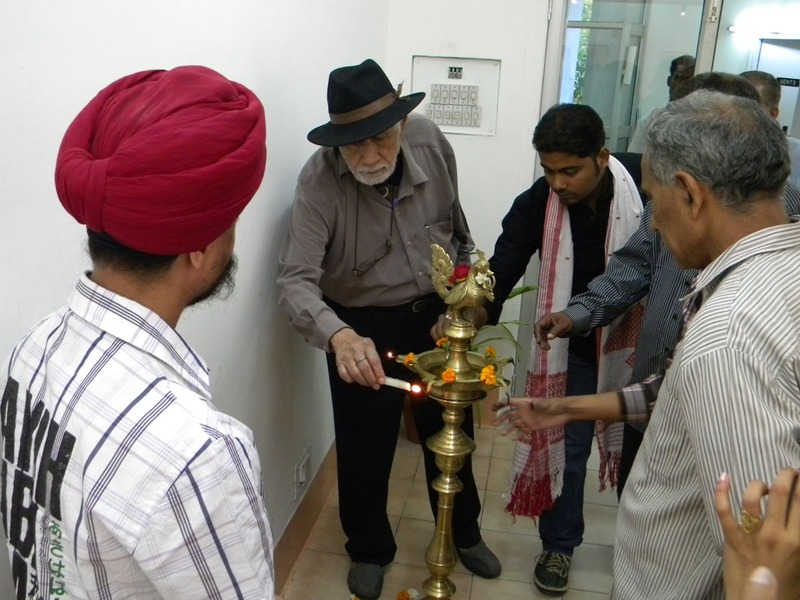 The exhibition was held at the All India Fine Arts and Crafts Society in Rafi Marg. The show was inaugurated by Colonel Kapoor. Testifying to the immense healing power of music, ace violinist Sunita Khaund recently conducted her famed healing music model, Life enrichment through music, in the auditorium of B Barooah Cancer Institute of the city. Sunita was welcomed in traditional Assamese style by noted academician, poet and translator Surajit Barooah who is also a founder member of the B Barooah Cancer Institute. The workshop was held to basically supplement the institute’s efforts to provide alternative therapies to help patients suffering from cancer recover and enrich their lives. While the Life enrichment through music model was initially conceived by the artist just as a means to enrich life and increase productivity of employees in office, the model harnesses the healing power of music to a tremendous extent. This was aptly demonstrated during Sunita’s performance in B Barooah Cancer Institute the other day. The audience mostly comprised of patients affected by cancer and their family members who are going through a tough ordeal in life. While very few of them had any knowledge of Raagas as such, Sunita’s module had a soothing effect on them and it was indeed a pleasure to see the patients singing along with her. 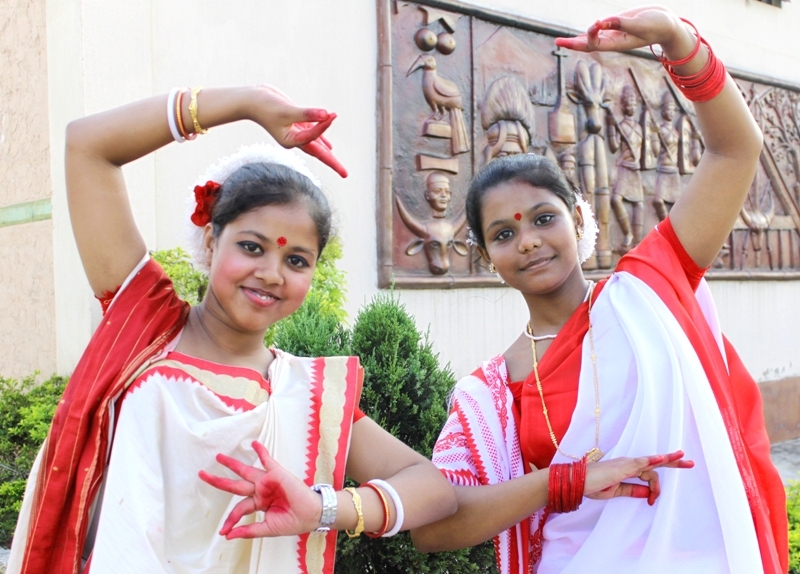 A Kalamitra Workshop programme will be held in Shilpgram from May 26 to 29. 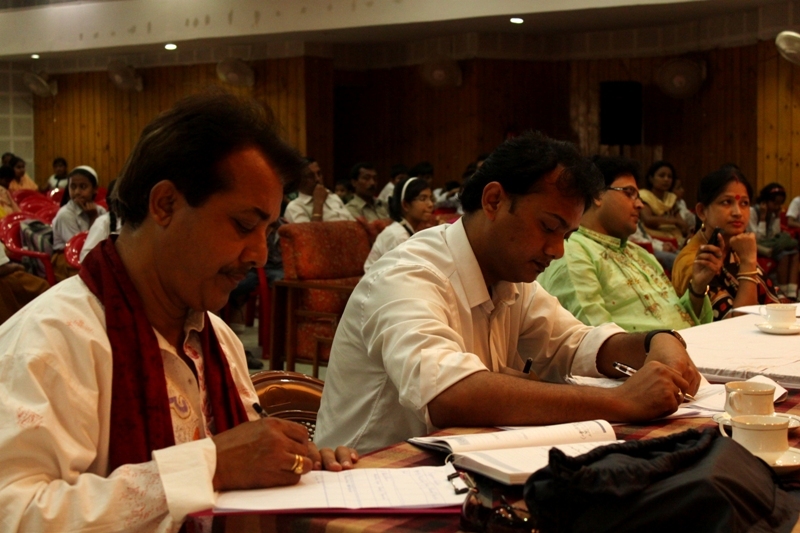 The workshop is being organized by Sanskar Bharati, North East as part of its Project Vision 2020. The main objective behind organizing this event is to introduce children to the grandeur and beauty of Indian art, music, dance and drama. The various resource persons in the workshop are Sharadi Saikia, Sailen Saikia, Sabita Saikia, Jollymoni Saikia, Ranjumoni Saikia, Tarun Kalita, Santanu Biswas, Pragyan Baruah, Manish Bordoloi, Arup Chakraborty, Jyoti Prasad Das, amongst others. 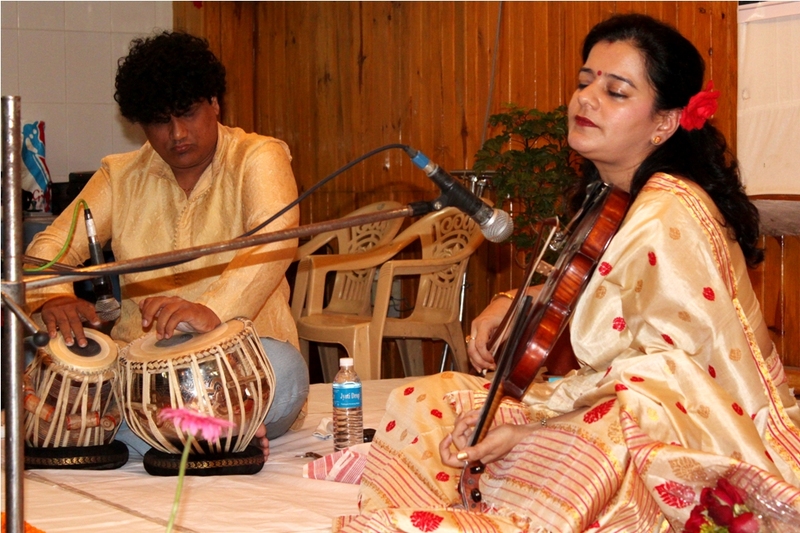 A performance by noted Sarod artist Tarun Kalita was held at the auditorium of Shilpgram recently. 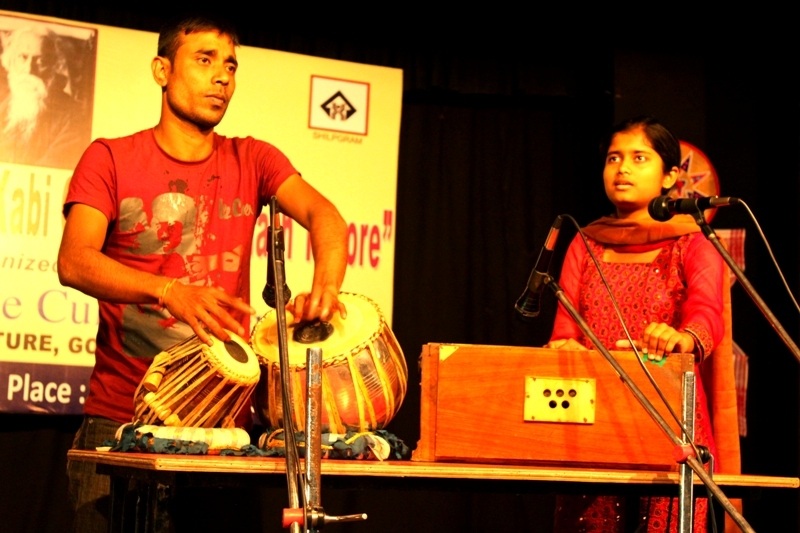 The concert was organized by the Indian Council for Cultural Relations (ICCR) as part of its Horizon series programme. 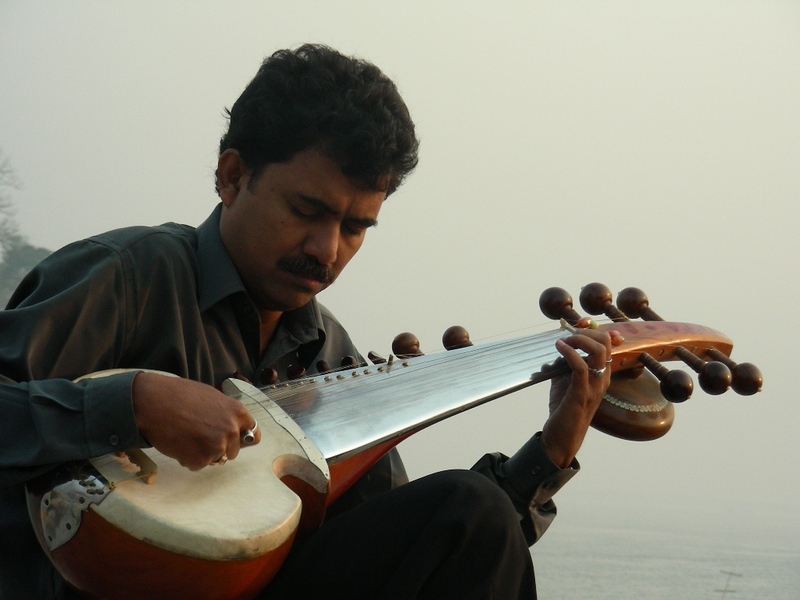 A senior disciple of Pt Buddhadev Dasgupta, Tarun Kalita is acclaimed for his command over the instrument and soulful rendering and elucidation of the sound, smell and colours of the Raag he plays. 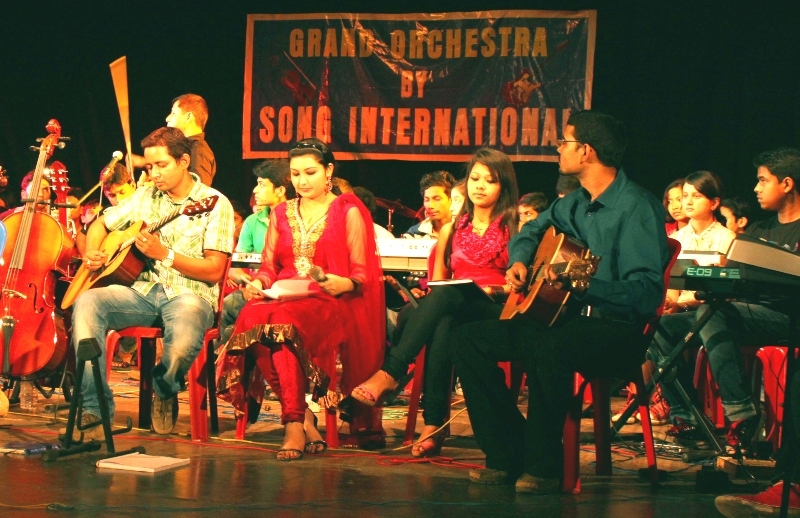 In an effort to provide a break from daily life and to uphold the immense healing and nurturing power of music, a team of hundred musicians from Song International recently organized a grand orchestra in Rabindra Bhavan. 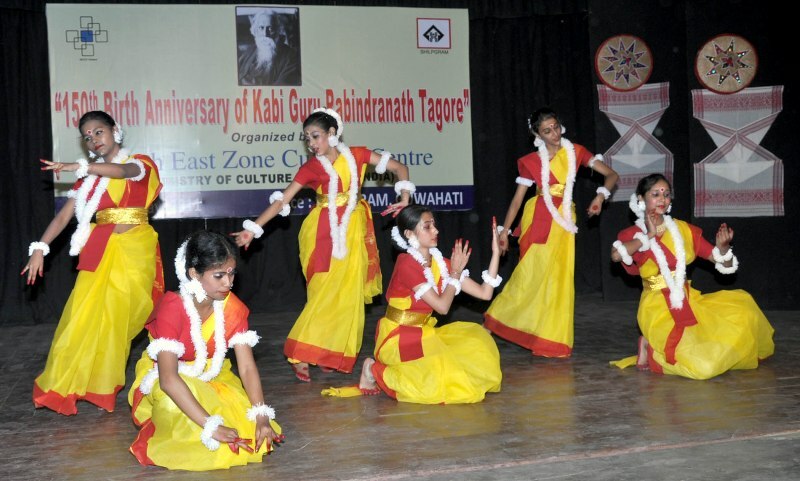 Noted singer Dipen Baruah graced the occasion as the chief guest and performed one of his popular numbers. The assembled musicians played the piano, violin, guitar etc. to the tune of several world famous musical symphonies, folk song, blues, gospel and other musical genres, much to the delight of the music aficionados present. The duo has done it again. Following the tremendous publicity blitzkrieg that was created by the selection of their film, The last of the tattooed head hunters, in the prestigious Cannes film festival last year, filmmaker couple Vikeyano Zao and Indrajit Narayan Dev latest short film has also been selected for the festival this year. The 15-minute short film, This Land We Call Our Home — Man Elephant Conflict of Assam, has been selected for screening in the short film segment of the festival. Making it to Cannes with The last of the tattooed head hunters as the first film to be selected from from Northeast India had been a dream come true for Dev and Zao. But to be able to walk the red carpet again, that too just within the space of 12 months, is truly a great achievement – something which nobody else from the region has achieved till date. While their last film revolved around the dying head hunting practice of the Konyak Nagas, the filmmaker duo chose a subject closer home for their latest venture. This Land We Call Our Home — Man Elephant Conflict of Assam revolves around the frightening man-elephant conflict that has been going on in our State and which has assumed grave proportions in recent times. The filmmaker duo has reasons enough to be thrilled. From Dihingmukh and Panidihing in Sivasagar to Neematighat and Mariani in Jorhat, Gibbon wildlife sanctuary to Rani Reserve forest, the film maker duo left no stone unturned to capture the perfect moments. “While we enjoyed every moment of the shoot, we really had a tough time finding the jumbos,” says Dev, the joint director of the film and also one of the last descendents of the Chilarai clan of the Koch Royal family. His views are of particular significance for they underline the increasing disappearance of elephants from our biodiversity and the shifting of their normal routes. “On certain days we walked and walked. Sometimes we even lost track of time. We had only one thought in mind—to capture these animals through our cameras,” says Vikeyano. To provide a brief background of the subject matter, the conflict between man and elephants has become one of the most challenging problems in modern wildlife management in India, particularly the North-east. With continuous loss of habitat qualitatively as well as quantitatively, elephants are forced to extend their range, and raid crops for their survival. Because of such forays of elephants into villages and agricultural lands, and the human forays into forests, such man-¬elephant confrontation becomes inevitable in Assam. The problem is further compounded by building of railway tracks and other man-made constructions brought about by an increase in human population. Though this kind of conflict cannot be prevented, the saddest part is the almost lack of mitigation measures adopted by the government and the civil society to thwart this menace. The primary forms of conflicts include crop raiding, ivory poaching and elephant death caused by heavy traffic movement through the elephant corridors. Ecological disasters such as soil erosion, flood, destruction of forest cover, and human encroachment have also contributed to the increase in elephant mortality rates. 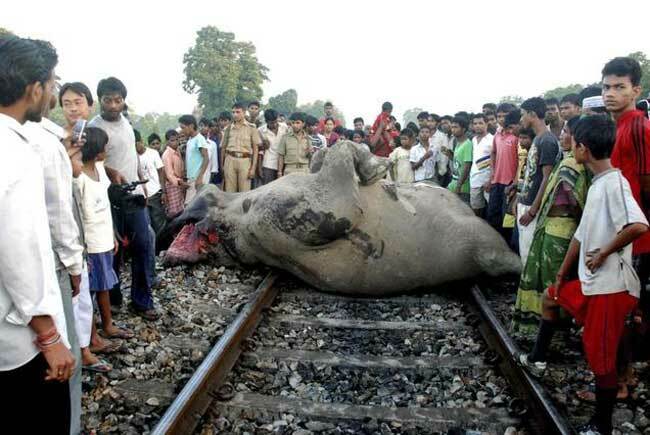 “Most of the railway tracks pass through the elephant migratory corridors causing a series of accidents, with blood-curling sights of smashed elephant skulls, ripped bellies of pregnant pachyderms, and electrocuted calves,” says Sagarika Sharma, the narrator of the short film. This Land We Call Our Home — Man Elephant Conflict of Assam was shot in the fag end of last year. An animal lover, it has always been Vikeyano’s desire to make a film on this man-elephant conflict. “So once we settled back into our lives after coming back from Cannes last year, we began working on this film from November,” she says. But despite her enthusiasm at being able to make a film on her favourite subject, the “bleak condition” of Assam’s forest cover has left both husband and wife distressed. “When we talk about national park many of us know only about Kaziranga. But what about the other forests. The situation is really very bleak in Assam,” she says. 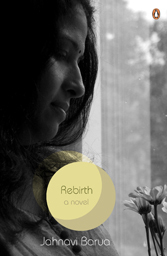 Jahnavi Barua, who shot into limelight a couple of years back with her debut collection of short stories, had earlier this year released her second offering in the form of her first novel, Rebirth, published by Penguin. Though she had been kind enough to offer me a copy at the time of the book’s release, due to the various exigencies of life it was only recently that I managed to go through the paperback. But once I started, it didn’t take long for me to be overpowered by this gripping tale of love, redemption and self-renewal. Rebirth is the story of a young pregnant woman, Kaberi, who is trying to come to terms with an unfaithful husband, an uncertain marriage and her own insecurities. The protagonist’s passionate communion with her unborn child reflects her frame of mind as she wades through the treacherous waters of love, betrayal, loss and self-renewal. Shifting between the urban bustle of Bangalore and the placid quietness of the Brahmaputra along urban locales in Assam, Jahnavi has weaved together an absorbing narrative marked by its lucidity and the profoundness of all that is left unsaid. I guess the author Jahnavi Barua hardly needs an introduction. Trained as a doctor, she is now based in Bangalore from where she had written her first collection of short stories, Next Door, and which was very well received by critics and readers alike. Marked by her use of simple words and phrases, besides her disarming honesty, what sets Jahnavi really apart is her deep love for her homeland, something which she tries to reflect through the lives of her protagonists. The writer has done an excellent job in portraying the predicaments of contemporary urban life while at the same time, doing justice to her choice in maintaining her settings in Assam and parts of Bangalore, which the author professes to be her adopted homeland. From the abundant greenery in the grasslands of Kaziranga to the cosmic play of the nine planets in Nabagraha temple, her novel touches on almost all the aspects that a contemporary Assamese, or for that matter any person in the world, would be able to relate to. 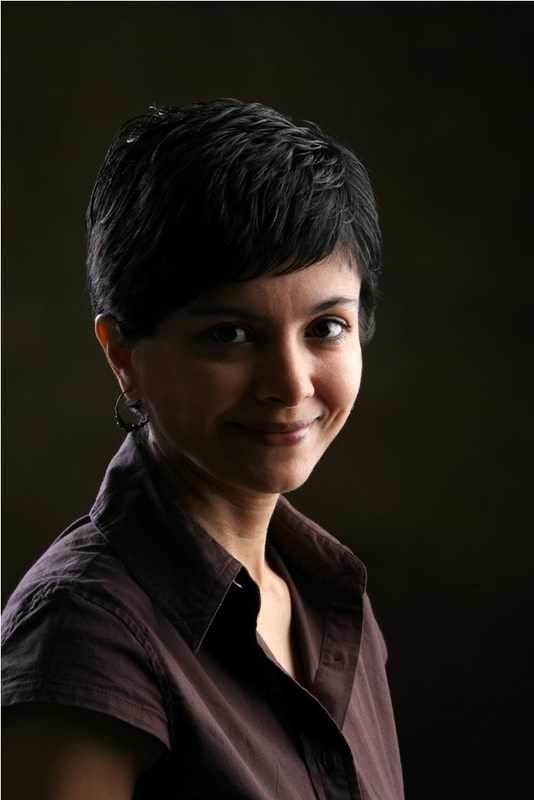 Those who have read Next Door would identify Jahnavi as a sensitive writer. It is this very sensitivity – the writer’s subtle handling of human emotions while still maintaining simplicity in the narrative – that marks Rebirth. Conflict, both internal and external, being one of the chief requirements of storytelling, is another area where Jahnavi has shown remarkable hold. Her subtle portrayal of conflict in the minds of her characters, especially the protagonist Kaveri, and the profoundness of all that she does not put in words lingers long afterwards in one’s mind. All said and done, I would term Rebirth as a wonderful and moving book which has elevated Jahnavi to the top rungs of contemporary Indian writers in English.